The Fujinon 7X50 FMTRC-SX Polaris Binoculars give you all of the benefits of a high quality porro prism optical device with those of a reliable compass. Ideal for maritime use, the fully waterproof and fogproof binoculars have 7-power lenses and a large objective for maximum light transmission. Rubber covers make it easy to keep hold of the binoculars if your hands are wet or sweaty and help to protect the housing to reduce the harsh effects of exposure to sea air. 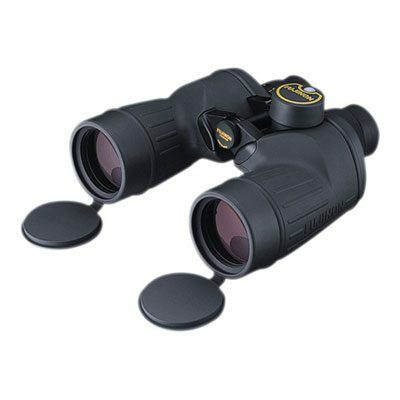 The binoculars provide a wide 7-degree angle of view, making it easy to monitor large portions of the landscape. Amongst the world’s greatest boating binoculars, the military-specification Fujinon 7×50 FMTRC-SX Polaris Binocular with Compass transmits an incredible >95% of the light reaching the binocular, and has Fujinon’s EBC multicoatings upon every optical surface. It is also equipped (as is any Fujinon Polaris series binocular) with flat-field, distortion-free eyepieces that accept optional filters and are ideal for astronomy applications. The 100% fogproof and waterproof 7×50 Polaris withstands drastic temperature and humidity changes with ease, has abundant eye relief for use with sunglasses in bright conditions, and is simply the brightest, highest-resolution 7×50 boating binocular money can buy. This version of the 7×50 Polaris has both a rubber armored exterior and an internal compass with rangefinding reticle. While the compass is electronically controlled for rapid response to bearing changes, illumination is by a natural daylight-gathering window. At night, you will need the optional external compass illuminator. Great pair of Binoculars for marine use. I bought these for use on a power boat doing volunteer coast guard work and they are a pleasure to use. 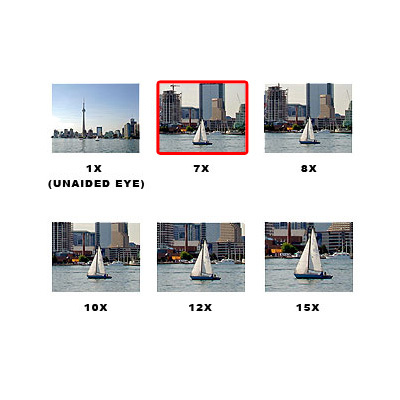 They are crisp and clear once you get them adjusted for your eyes and no need to re-adjust for use beyond about 70-80 Meters which is nice on a boat. They are really well built and feel comfortable to hold even when the boat is pitching around a bit. For use in ‘twilight’ they seem to significantly improve the available light, for example: viewing a kayak with naked eye into the fading light, I could only see a silhouette but with the Bins, I could make out facial details and the type fishing gear being used which amazed me. The built in compass is a nice feature and it is quite stable and easy to use. Over-all, for a 7x50mm I’m really happy with the new glass !